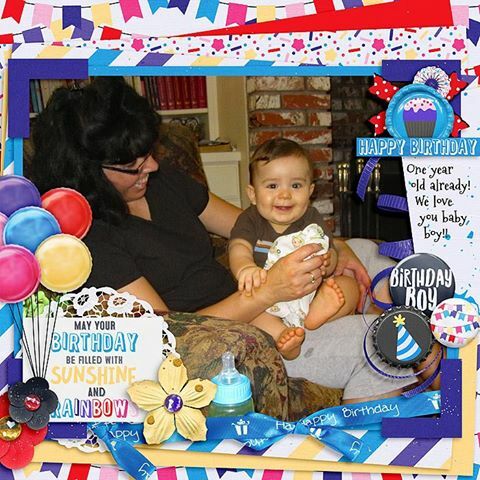 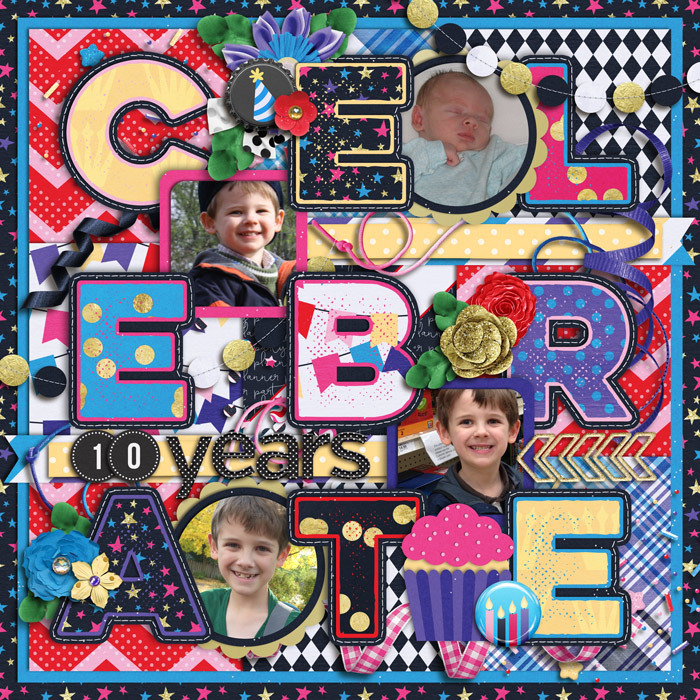 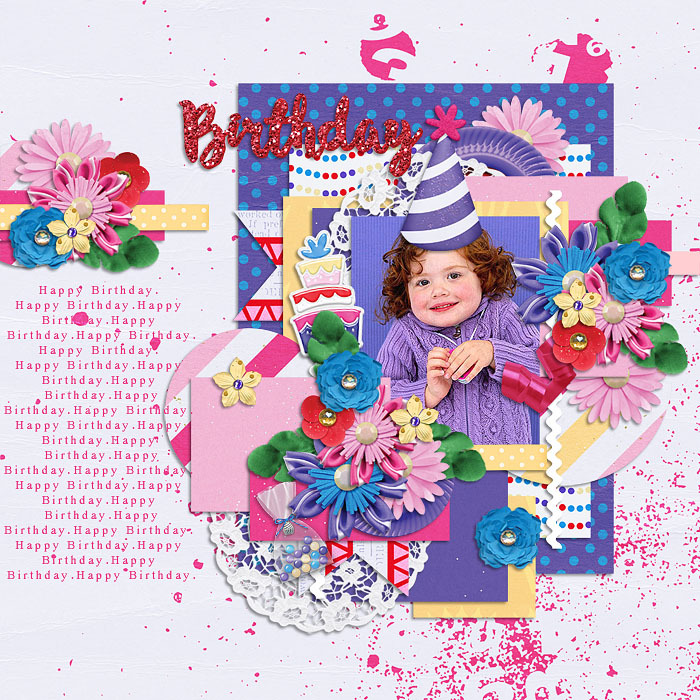 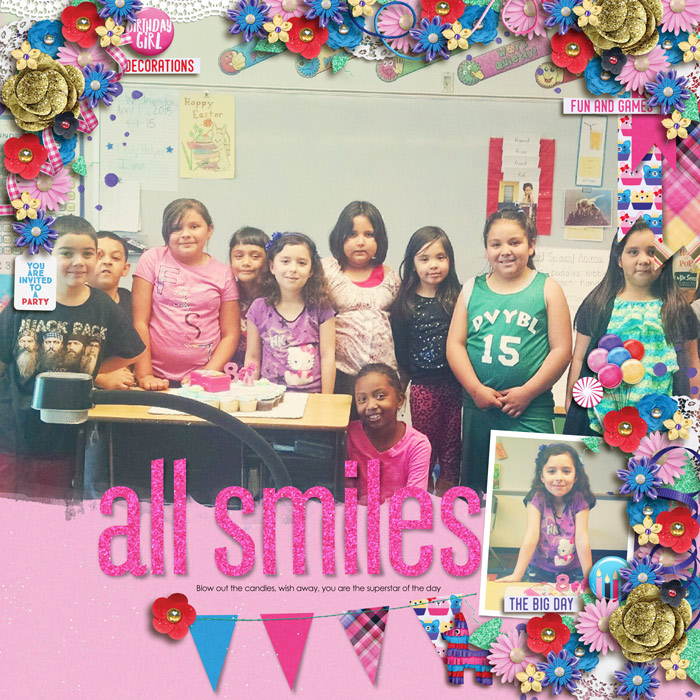 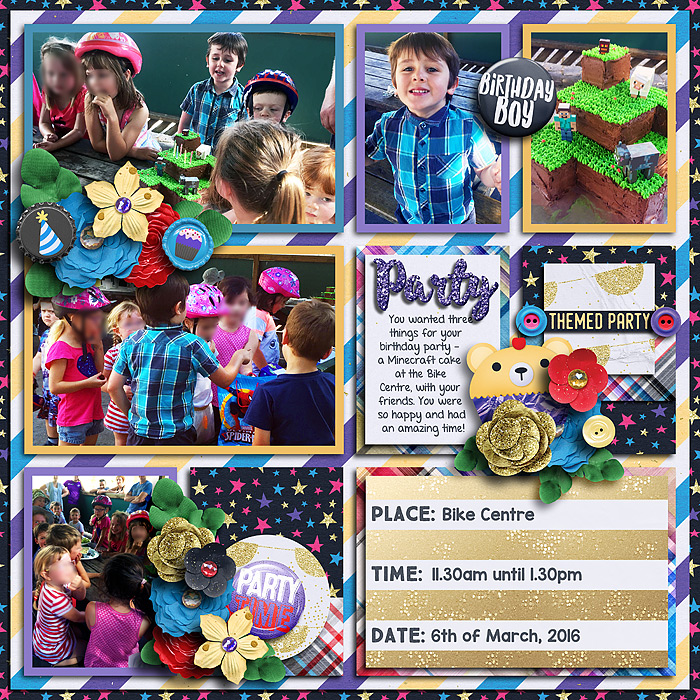 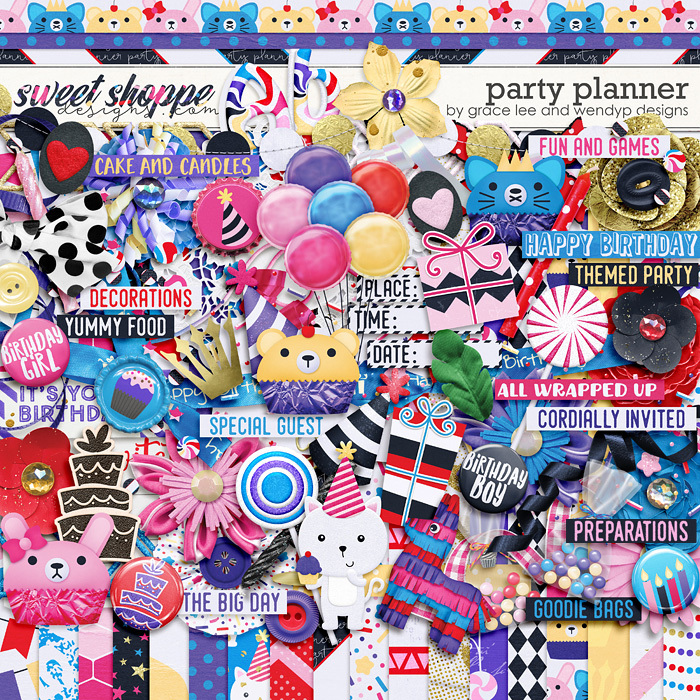 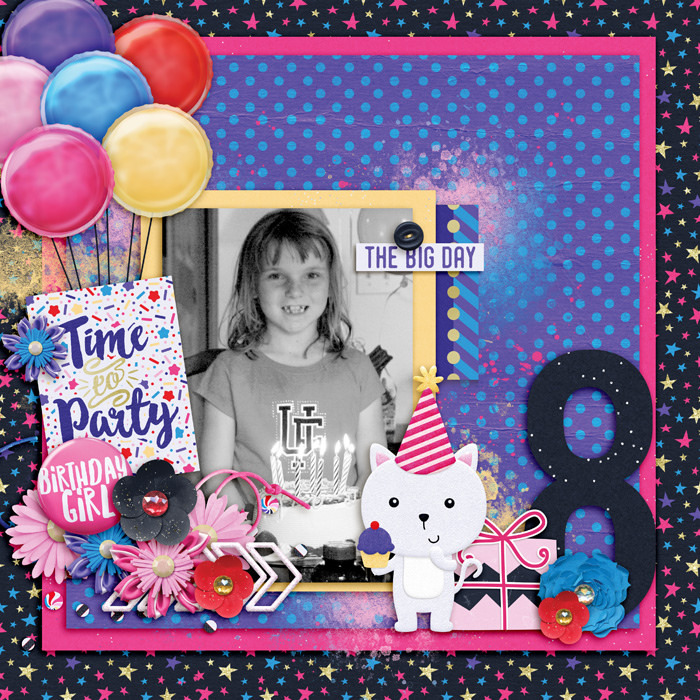 A digital scrapbooking kit by Grace Lee and WendyP Designs, Party Planner is a cute and vibrant kit that will help document the most amazing party of your life! 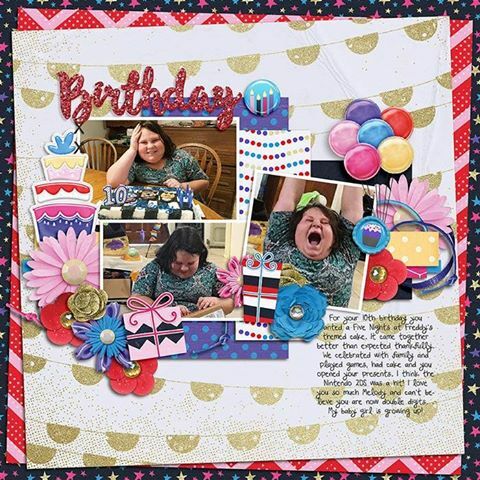 If a party is what you most look forward to on your birthday, or if planning and throwing a party is your favorite thing to do in the whole world, this kit is for you! 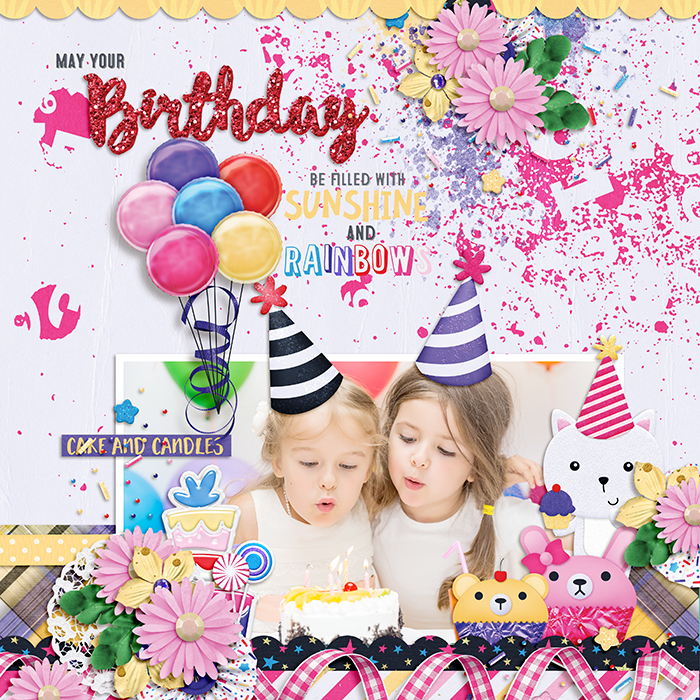 It's bright and happy and filled to the brim with everything you can find at a party: balloons, party hats, cakes, candles, presents, and lots of party animals! 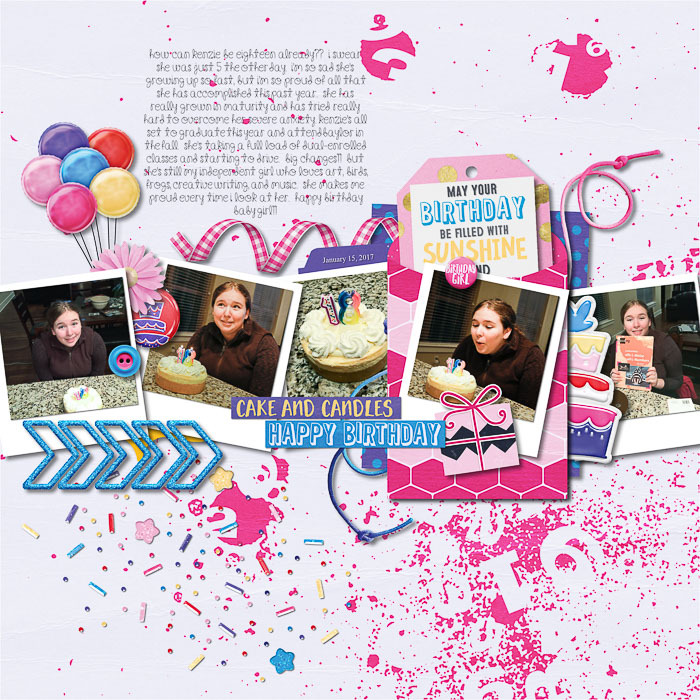 This kit is so versatile and can be used easily for both bithday boys and birthday girls.